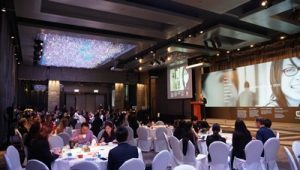 Industry leaders across Hong Kong’s corporate and social sectors attended the 2018 Diversity & Inclusion Conference held atHotel ICON in collaboration with HR Magazine on 16 November 2018 to demonstrate commitment to Diversity and Inclusion in the workplace. Employees in Hong Kong as well as globally are massively impacted by being less efficient when they feel they cannot be themselves at work. Through keynote speeches and panel discussions, the conference further stressed the importance of tackling inequality and embracing a progressive work culture. Drawing on the idea that a respectful and inclusive workplace in which employees feel safe is a productive one, notable speakers discussed a range of strategies which had been successful in their organisations. Attendees to the event discussed initiatives to develop LGBT+, multigenerational, multicultural and physical and mental disability awareness and support from grassroots level to HR and senior leadership initiatives. In aid of driving the message of respect, inclusion, engagement and retention in the workplace, and making employees feel safe and supported, many of the speakers shared of their own real-life stories of tragedy and triumph. 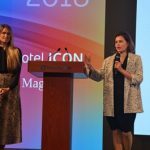 Growing up as a third-culture kid and having worked and lived in over 13 different countries, Richard Hatter, General Manager, Hotel Icon, spoke from experience when he stated in his opening address, “Inclusion is about empathy. If you make someone feel like an outsider, they are an outsider.” It was with this sentiment of empathy in mind that he established the, ‘We Love to Care’ programme to enhance the engagement of his staff towards the hotel guests and build awareness of any unconscious cultural bias. The impact of the programme has resulted in his staff repeatedly exceeding the service expectations of the guests and Hotel Icon moving up three TripAdvisor rankings. This conference was not only about developing an understanding of the challenges of creating an inclusive workforce but also a platform to offer practical solutions. The atmosphere was positive and many delegates took away a suite of initiatives designed to foster respect, inclusion and engagement across their own organisations. While true diversity and inclusion in the workplace still has a long road to travel, for many it is a journey built on better knowledge and shared experiences.